14.3% alc., 2,300 cases, $14. 85% Arroyo Grande, 15% Sta. Rita Hills. Aged 12 months in 25% new French oak barrels with regular lees stirring. · Moderately light reddish-purple color in the glass. The interesting and complex nose really draws you in. 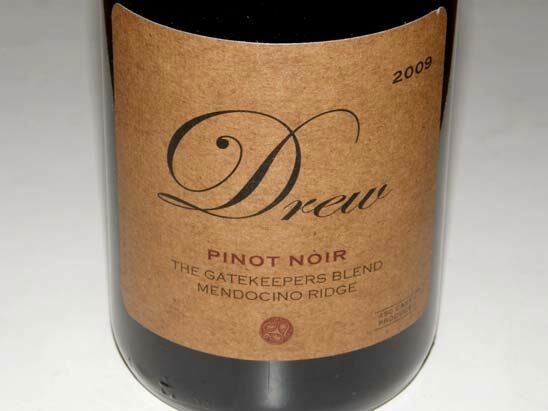 Aromas of strawberries, cherries, sandalwood, sawdust and Indian spice. Delicious middleweight core of fresh dark cherries and red raspberries, caressed by supple tannins, offering good acidity, and finishing with memorable aromatic persistence. A beautifully balanced wine that is very easy to cozy up to, and quite impressive for a first release. Unbelievable value. 14.6% alc., pH 3.59, TA 0.54, $25. Clones 4, 2A, 23, 667, 115, 12, 5 and 777. Aged 8 months in 26% new French oak barrels. Week-long cold soak for optimum color and flavor extraction. · Moderately dark reddish-purple color in the glass. 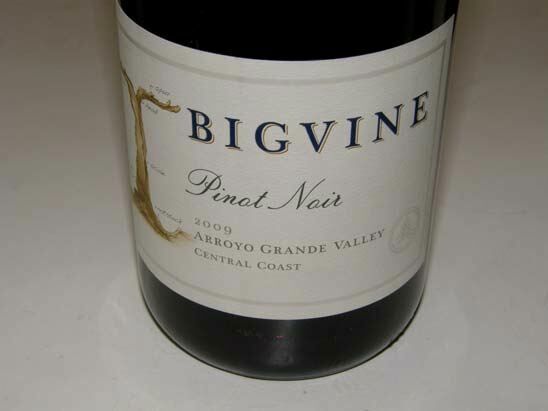 Beautifully perfumed with aromas of boysenberry pie glaze, dark cherries, black grapes, spice and just a hint of mocha. Very tasty core of moderately dark red, blue and black berries with an earthy undertone, well-integrated oak and a polished mouth feel. A quintessential Santa Maria Valley wine that has respectable power, good finishing length and enough spirit to be thoroughly satisfying. Very good. 14.2% alc., pH 3.62, TA 0.67, 450 cases, $28. Released February 2011. Sourced from Manchester Ridge and Perli vineyards. Clones 777, 667, 114 and 115.100% de-stemmed. Aged 11 months in 100% neutral French oak. · Moderately dark reddish-purple color in the glass. A nose you could chew on, with luscious aromas of dark red cherries and berries and spice, underlain with a floral and sandalwood note. Equally satisfying in the mouth, with a flavorful array of perfectly ripe cherry and dark raspberry flavors complimented by the finest dusting of flowers and oak. Can’t say enough good things about this well-crafted, seamless wine. I could easily drink it all night long. Very good. 14.5% alc., pH 3.81, TA 0.62, $35. 65% Doctor’s Vineyard, 22% Smith Vineyard and 13% Lone Oak Vineyard. Clones are Pommard 5, 667, 777, 115 and 2A. · Moderately dark reddish-purple color in the glass. 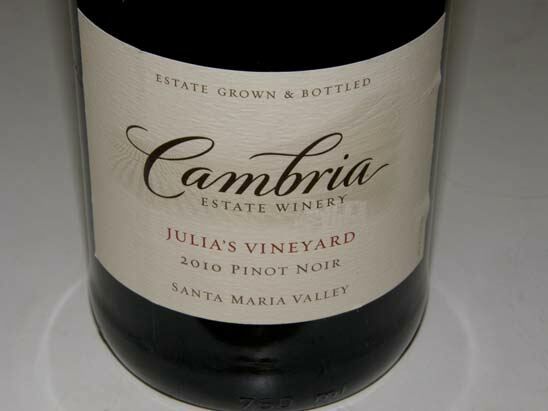 Very enticing nose offering bright aromas of black cherry liquor, sassafras, toasted brioche and oak spice. Delicious essence of fresh black cherries with impressive mid palate presence. Relatively full-bodied with mild dusty tannins. Accents of red velvet cake and cola add interest. Drinking nicely now. Very good. 14.2% alc., $35. Native yeast fermentation. Aged 11 months in 30% new French oak barrels. · Medium reddish-purple color in the glass. Very expressive nose of ripe dark cherries, cola and spice. 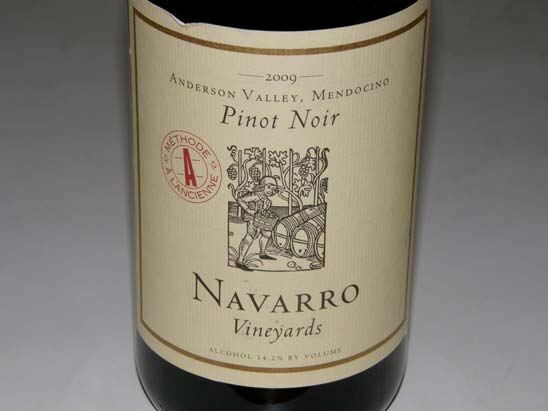 Quintessential Russian River Valley Pinot Noir with signature flavors of black cherries, cola and brown spice with a hint of mocha. 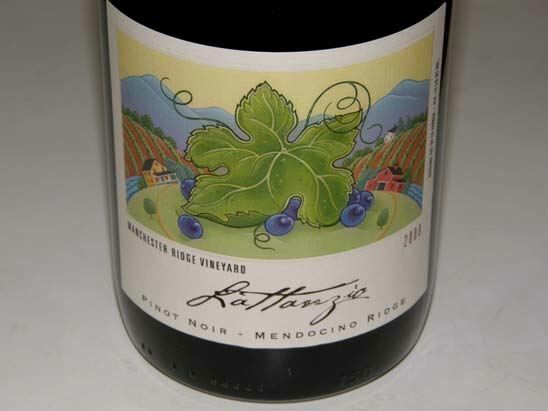 Fully ripe in fruit character, very smooth on the palate, displaying impeccable balance. Highly approachable now and well worth the tab. Very good (+). 13.9% alc., 51,000 cases, $20. · Aged 7 months in 21% new French and 1% new American oak. Moderately dark reddish-purple hue in the glass. 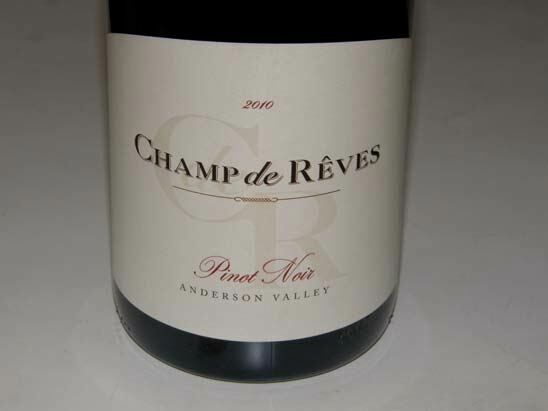 Very fragrant aromas of perfectly ripe berries include strawberries with hints of spice and vanilla. A charming wine that aims to please with a medium weighted core of luscious dark raspberries, strawberries and boysenberries accented with cola, cassis and oak. Nicely buttressed with soft tannins and offering good length on the finish. Great balance. 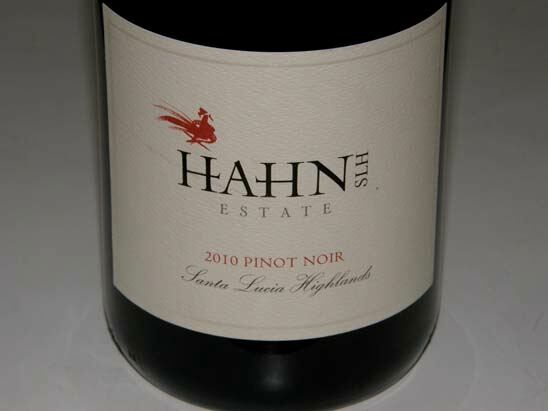 All you can ask for in California Pinot Noir for the price of a Jackson. 13.8% alc., $18-$20, screw cap. “May-OHmee” means “Coast” in the language of the California Wappo Indian tribe. 57% Monterey County, 23% Santa Barbara County, and 20% Sonoma County. Winemaker Joseph J. Wagner. · Moderately dark reddish-purple color in the glass. Deep, rich and enticing aromas of plums and dark berries with a hint of oak spice, vanillin and BBQ. Discreetly concentrated, yet richly flavored with delicious plum, black raspberry, dark chocolate and vanilla cola notes. 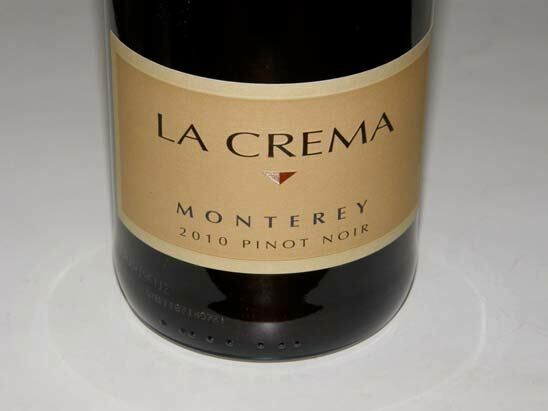 The fruit is caressed by soft, fine-grain tannins, creating a velvety mouth feel that is very seductive. 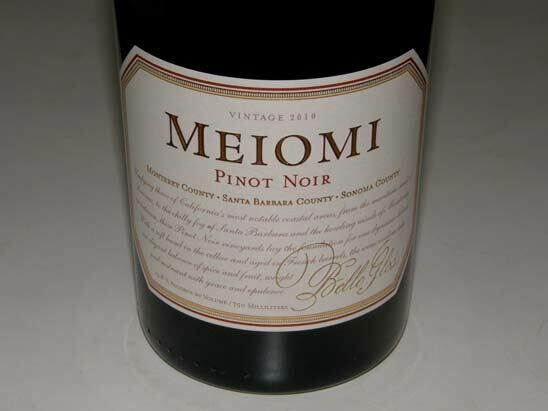 The best Meiomi Pinot Noir to date. This wine will find many fans. Widespread retail and restaurant availability. Very good. 14.2% alc., pH 3.68, TA 0.67, 4,910 cases, $29. · Medium reddish-purple color in the glass. 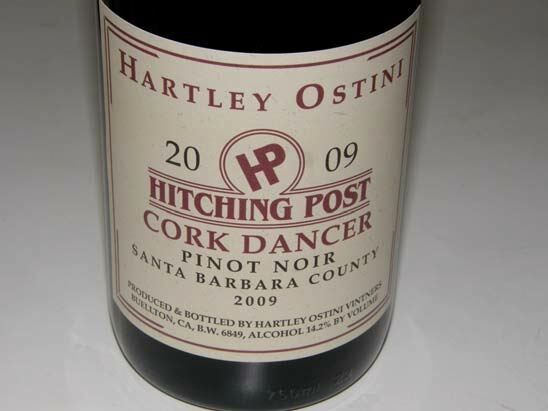 Demure, but pleasing aromas of black raspberries and boysenberries with a hint of brier and oak. 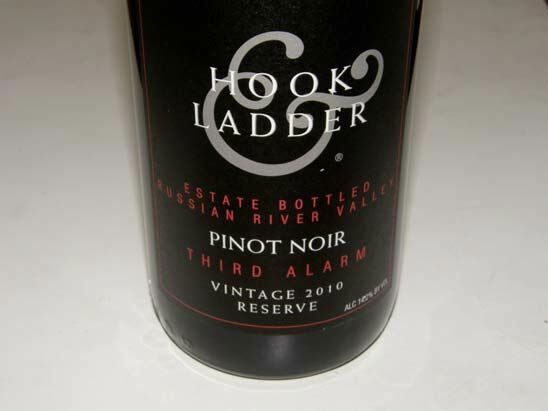 Fresh and uplifting on the palate with a darker berry and black cherry flavor profile. Medium-weighted with well-behaved tannins and bright acidity. Admirable balance predicts longevity.